List Prozac side effects by likelihood and severity. 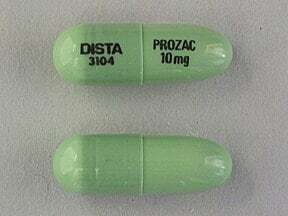 This medicine is a green, oblong, capsule imprinted with "DISTA 3104" and "PROZAC 10 mg". 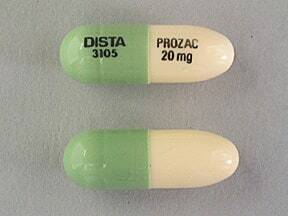 This medicine is a green off-white, oblong, capsule imprinted with "DISTA 3105" and "PROZAC 20 mg". 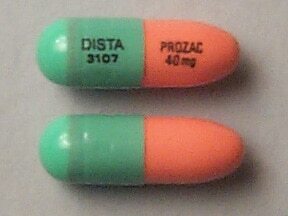 This medicine is a green orange, oblong, capsule imprinted with "DISTA 3107" and "PROZAC 40 mg". Are you considering switching to Prozac? How long have you been taking Prozac?